Choosing the right surgeon for your upcoming procedure is critical to achieving an optimal outcome with natural-looking results. It takes great artistry and skill to bring balance, harmony, and symmetry to the face and body. It’s a process that takes careful consideration but is well-worth the end-result once you find a surgeon you connect with. If you were to do a quick Google search, you’d probably come up with a dozen or more plastic surgeons in your area alone but not all are created equal. Some are more qualified than others to give you the results you want. Today, we’ll go over a few things to help you narrow down your search for the perfect plastic surgeon. Credentials cannot be overstated as an essential part of your hunt for a plastic surgeon. You want someone with skill and experience if you’re going to maximize the benefits of your surgery. 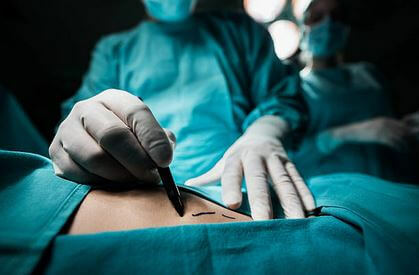 Board Certification – A surgeon certified by the American Board of Plastic Surgery (ABPS) practices the latest, most advanced surgical techniques and has undergone years of rigorous schooling and medical training. ABPS-certified surgeons are committed to continued education and follow strict codes when it comes to ethics and safety. Before being considered for the certification, a doctor must undergo at least 6-years of surgical training after completing medical school. Dr. Barnett holds a lifetime certification from the American Board of Plastic Surgery and has taught board certification courses for surgeons preparing to take the rigorous American Board of Plastic Surgery qualifying examinations. Academic institutions – Make sure your surgeon has attended the finest academic institutions. That includes college, medical school, and residency. It makes sense that a surgeon with a consistent pattern of acceptance at top training institutions is a consistent top performer – and consistency is very important. Dr. Barnett attended Yale University as an undergraduate, Johns Hopkins University School of Medicine, and did his post graduate internship and residency in General and Plastic Surgery at Stanford University Medical Center. Specialty Training and Specialization – There are many sub-specialties within plastic surgery. An excellent hand or burn surgeon may not have the experience and artistic eye that makes for a great facial or breast surgeon. Advanced training beyond a plastic surgery residency is extremely helpful, and a lifetime commitment to a specific sub-specialty results in deep experience and expertise in that sub-specialty. Dr. Barnett completed an advanced fellowship in cranio-facial surgery and a world wide traveling fellowship, working with the finest aesthetic (cosmetic) plastic surgeons in North and South America, Europe, and Asia. Artistry – Technical skills are essential, but an artistic eye is often the difference between a technically excellent result and a beautiful result that is both technically excellent and artistically natural and harmonious. Dr. Barnett taught anatomy classes to art students while in medical school and is an accomplished painter and sculptor. While a referral is best, previous patient testimonials are a good way to see your surgeon’s level of skill. Look for happy patients that would recommend their surgeon to a friend or family member. Specifically, scan testimonials for patients that have already undergone the procedure you’re interested in having done. Along with referrals and reviews, make sure to review before and after photos. You’ll get to see first-hand what your surgeon is capable of. An experienced surgeon should have plenty of pictures available online and in-office. When looking at photos, seek out post-surgical scars as well as results that are not “overdone”. Are the results similar to what you’re looking to achieve? Are they consistently balanced and natural? A skilled surgeon understands that there’s no cookie-cutter answer for every patient. What a patient finds aesthetically pleasing can vary based on gender, ethnicity, and personal preference. Your surgeon should have the adaptability to give you the results you want based on your specific concerns and end-goals. Your surgeon is someone whom you will be working closely with over a span of months. They should be someone you feel openly comfortable talking to about the most intimate matters. A quality surgeon will listen first, suggest potential options, and walk you through every aspect of your procedure from start to finish all in a judgment-free environment. Also make sure the office is staffed with experienced people who understand the process thoroughly and are empathic. It’s not likely that your surgeon will answer his or her office phone themselves. When you call or talk to someone in the doctor’s office, you want that someone to understand what you’re going through, what you aspire to, and what you need now! Dr. Barnett is a board-certified surgeon with the skill and expertise necessary to help you achieve the best possible outcome. He is happy to meet with you to discuss all of your surgical and non-surgical options in-depth. Dr. Barnett has already helped thousands of happy patients throughout his lengthy career and is ready to do the same for you.